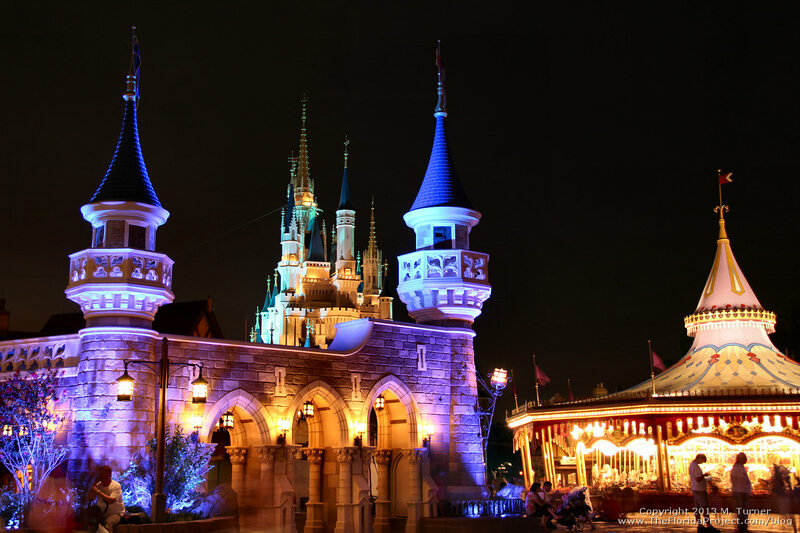 View of Cinderella Castle and Prince Charming’s Regal Carousel (formally Cinderella’s Golden Carousel) with New Fantasyland Castle Walls all lit up at night. Long exposure captures a combination of people on-the-move as well as those who are sitting, waiting or taking a break. Magic Kingdom, Walt Disney World.